One of my challenges is how to get the kids to eat their packed lunch. . .
I’ve tried doing bento. I’ve used cookie cutters and other methods of cutting veggies into shapes, trying to make the kid snacks fun and appetizing. And I just get so frustrated when the lunch box comes home with uneaten food which gets wasted! An apple with only a few bites in it, or a cut-up apple which has turned brown and never even touched! Cheese sticks and yogurt warm and unopened. Sandwiches squished and old by the end of the day. I could go on and on. WHAT IS A MOM TO DO?!! I’m always trying to find new solutions and creative ways to get them to eat relatively healthy food at school. It’s a never-ending challenge. I think I do a good job packing a variety of colorful food choices–items which they normally eat at home. BUT, I think the key is that the food needs to get to the cafeteria in the same condition it was in when I packed the lunch! Chances are better that lunch will get eaten if I add a cold pack and try to use containers which will keep the food from getting damaged. But backpacks and lunch bags get tossed on the playground, stepped on in the classroom, squished into the desk, and so on. 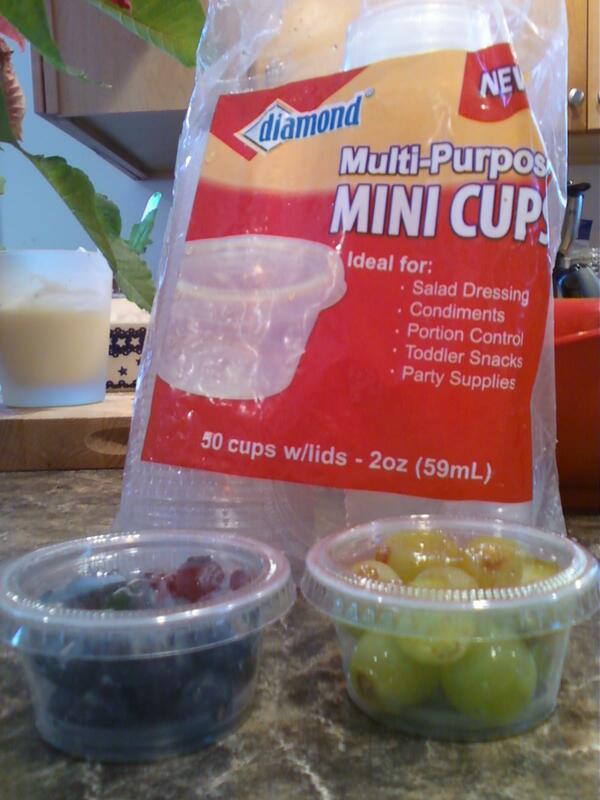 Here’s my latest find: Diamond brand Multi-Purpose MINI CUPS. They are those teeny tiny containers that you put ketchup in at FIVE GUYS or what you put the salsa into at MOE’S. And now you can buy these 2 oz. containers to have at home! So far the kids are loving them. 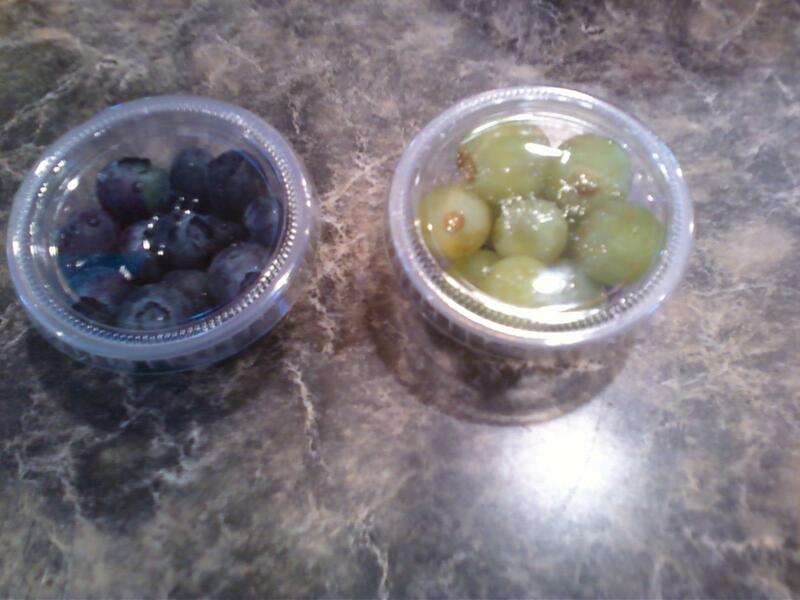 I’ve done grapes, berries, fish crackers, raisins, and cheese cubes. I also put baby carrots, grape tomatoes, and cucumber smiles in a baggie with ranch dip in one of these mini cups. They are small enough that you don’t really need much, and it provides variety for the kids. These small portions are just perfect for their little bellies. Now, I realize that it’s not good for the environment and it’s more garbage, but it’s working for our family at the moment. How do you get your kids to eat a balanced lunch at school?